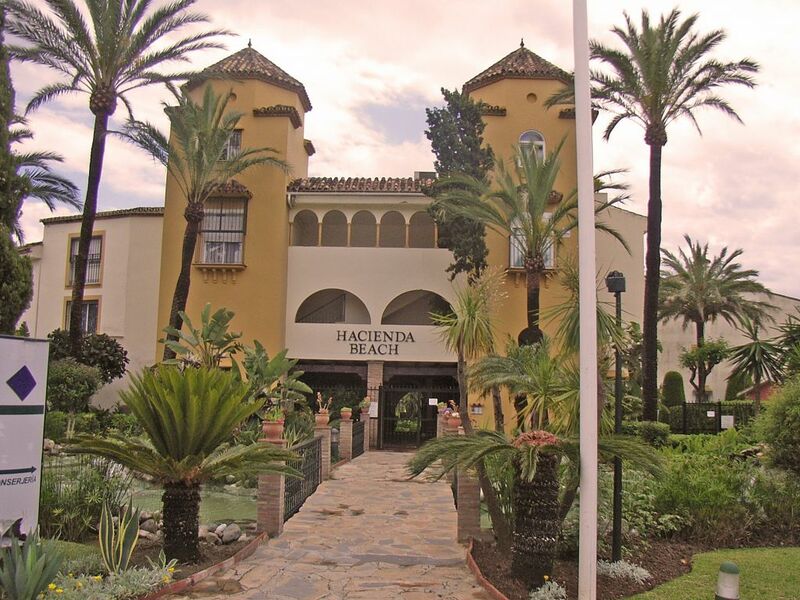 Very nice apartment situated on the beachside of the New Golden Mile in a gated community offering 24 hour security located walking distance to various restaurants, shops and a beach bar. 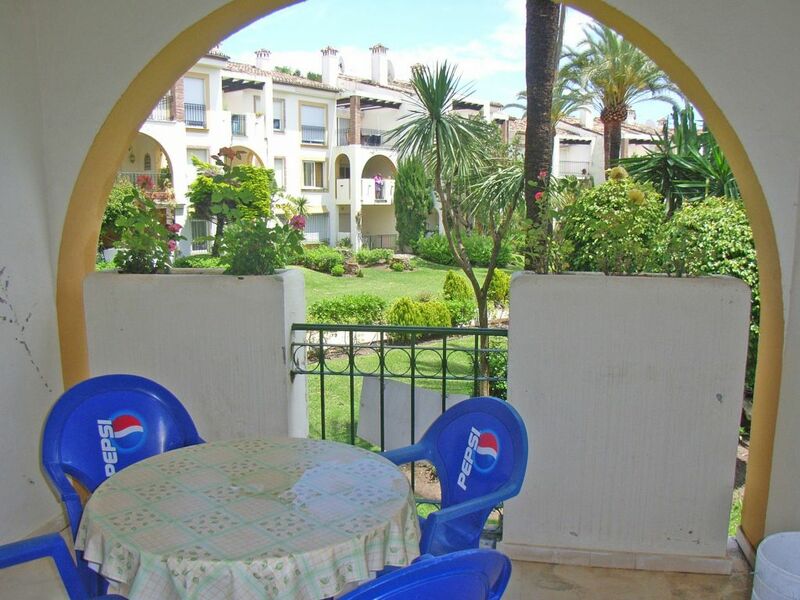 Located on the ground floor and oriented mainly east the apartment enjoys views to the communal gardens and swimming pool area with pool house and bar. 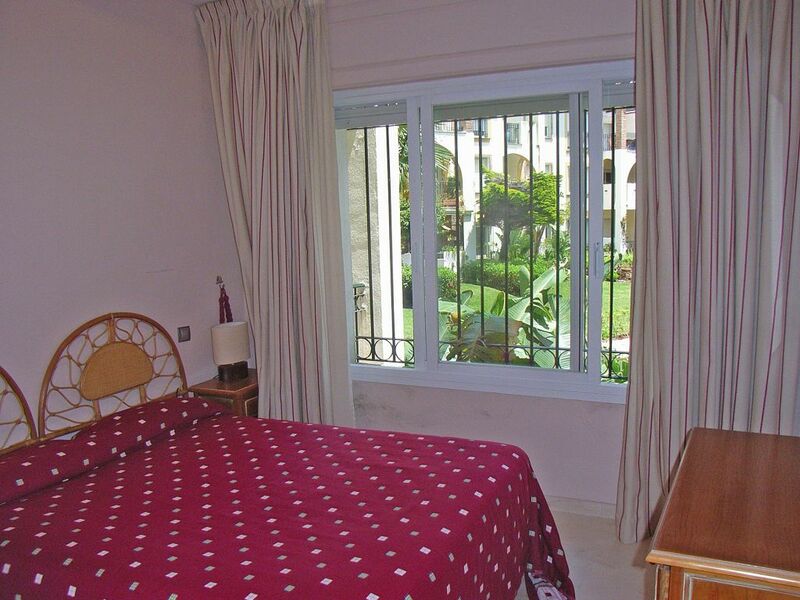 The apartment was built in 1989 to the finest quality standards including hot & cold A C, alarm, marble floors throughout and kept in good condition by the last owner. 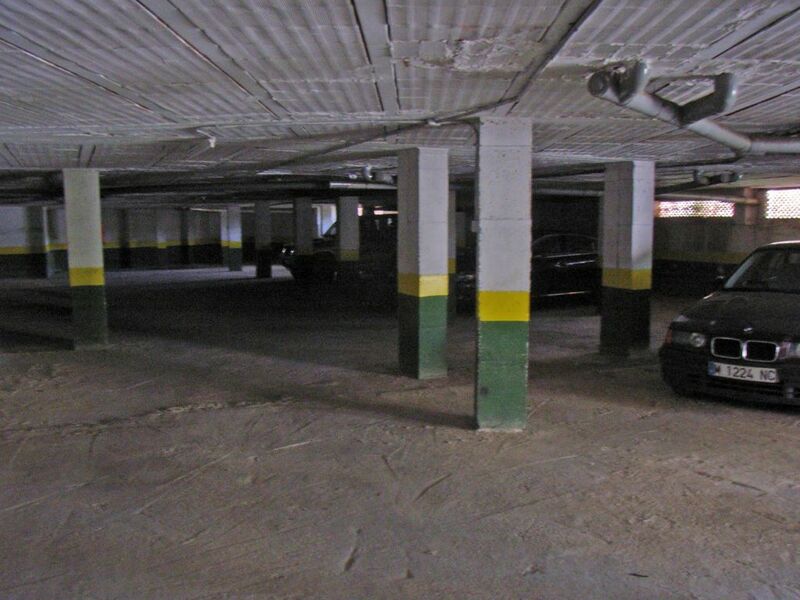 Further the community offers parking facilities and satellite television system and 1 parking space is reserved to the owner. 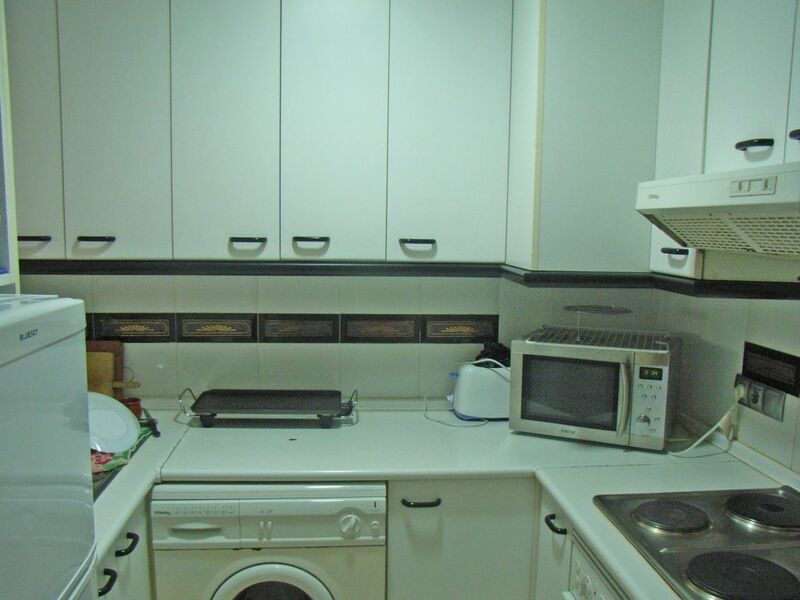 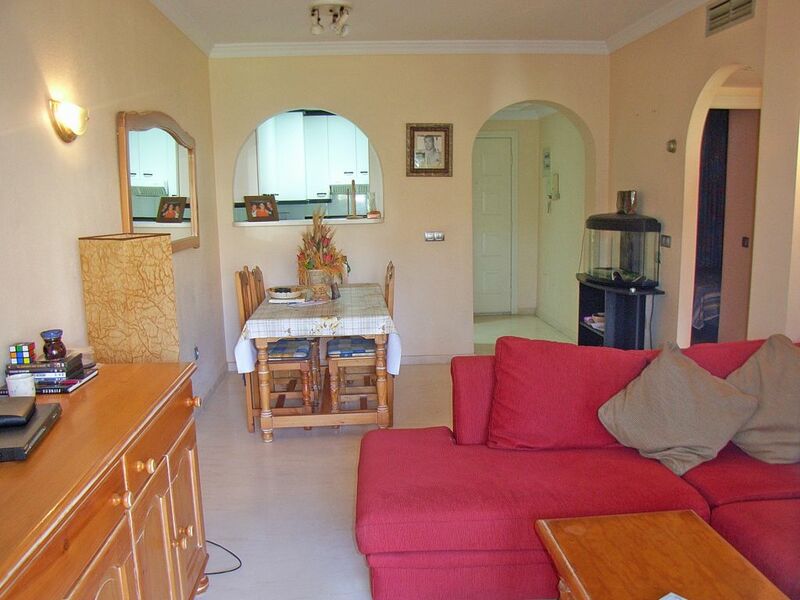 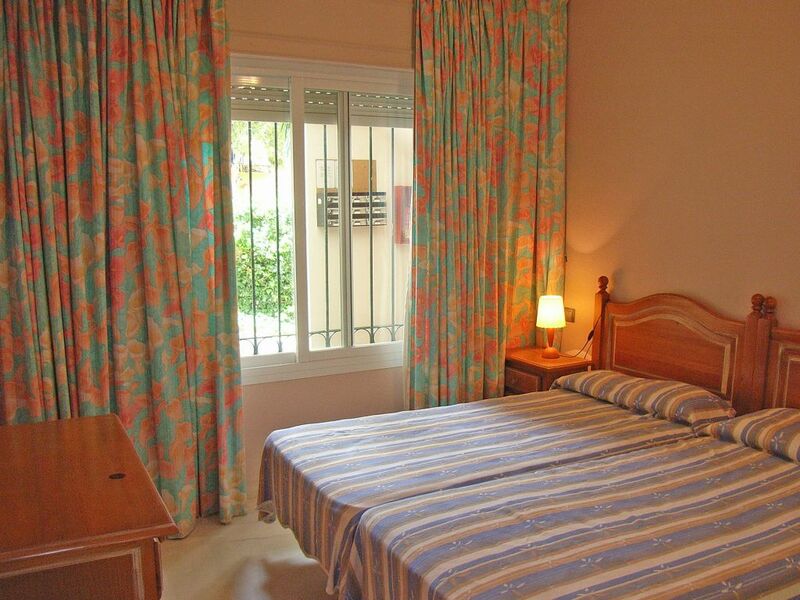 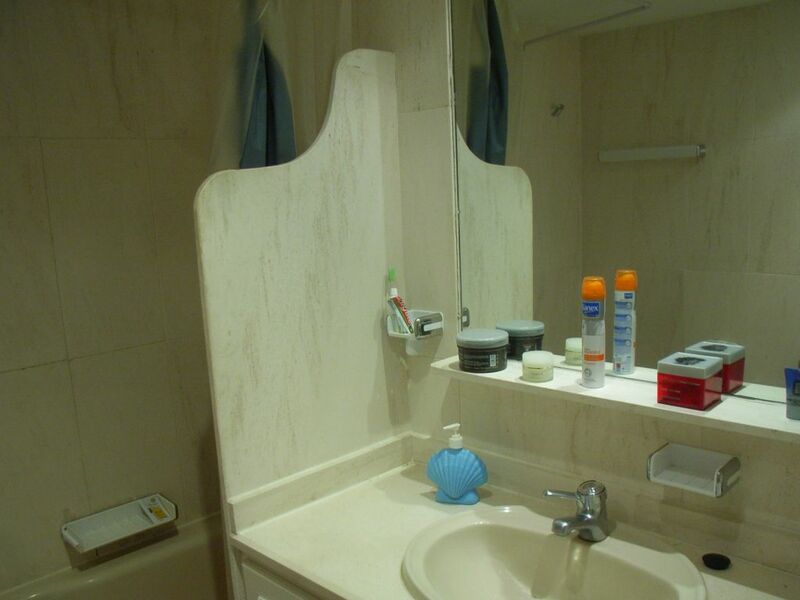 This apartment offers 2 bedrooms, 1 bathroom, lounge with access to a terrace, and a small fully fitted kitchen. 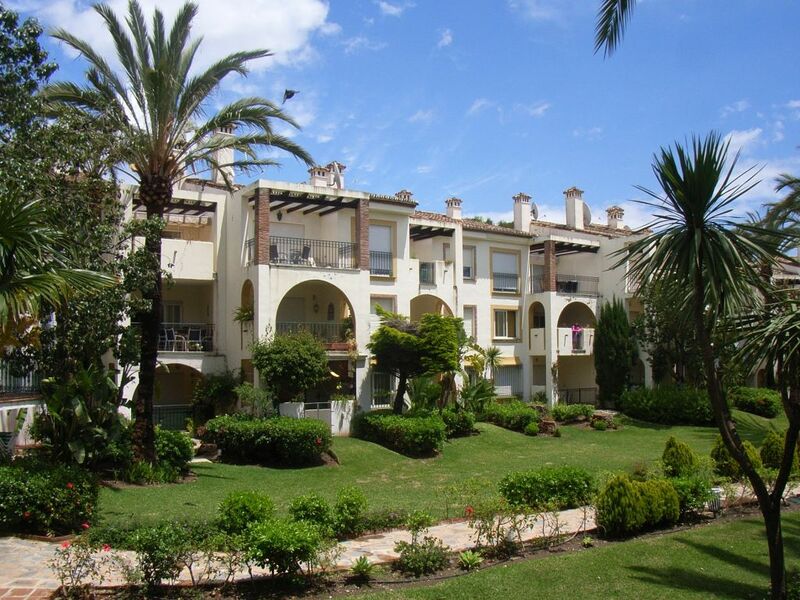 This property is situated only 10 minutes drive to Puerto Banús and within 7 minutes of the centre of Estepona.